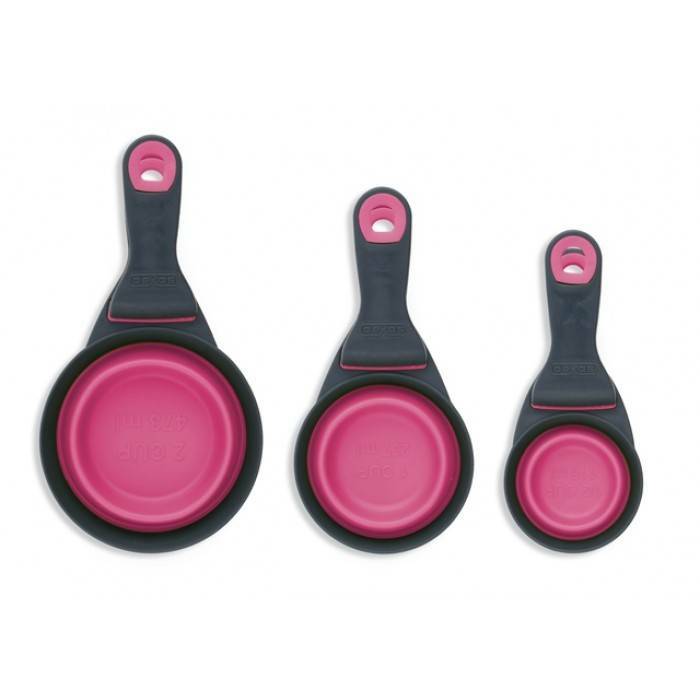 A pink collapsible silicone bowl, which can be used as a drinking or feeding bowl, a scoop for food and as a bag clip. 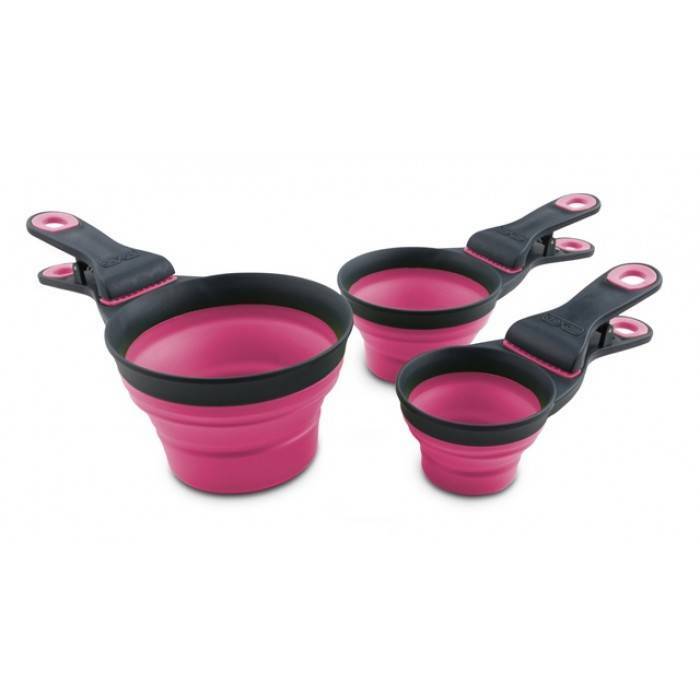 This is a handy pink collapsible tray that you can use in various ways. 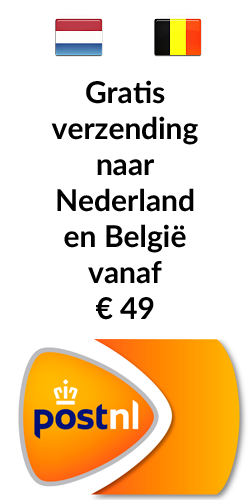 It is perfectly suitable as a bow for food or water. You can also use it as a scoop for food, which you can use to prevent the dog getting too much food. Furthermore, you can use it as a bag clip. 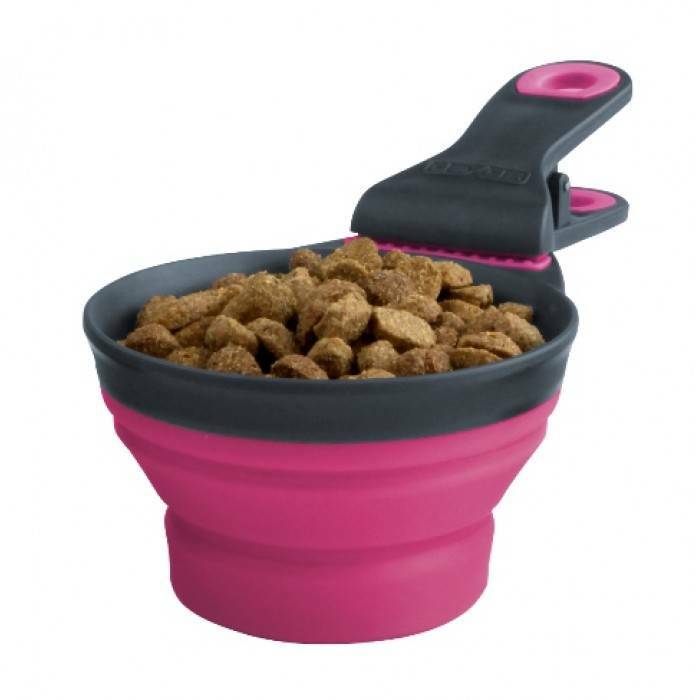 The bowl has a sturdy clamp with which you can clamp it, for example to a bag of food.